I am an independent funeral celebrant. Based in North East Kent, I plan and conduct funerals across Kent for families who have lost a loved one. Throughout history, and across different cultures, the funeral has always fulfilled an important need in society. By helping us to acknowledge the loss experienced following a death and allowing us to say goodbye, the funeral plays an important role in the grieving process. The funeral provides an opportunity to express feelings of love, grief and loss together, and can be a source of comfort to the bereaved. We pay respect to the person who has died by sharing memories and recognising the life they have lived. It is often assumed that a funeral service has to be conducted by a vicar, priest or other religious representative but this isn’t the case. As an independent funeral celebrant I am able to conduct funeral services, including as much or as little religious, non-religious or spiritual content as you want. My role is to plan, write and deliver the service that you want, to best remember and celebrate the life of your loved one. I consider it a real privilege to be able to support family and friends during such a difficult time. In partnership with your funeral director, I will always do everything I can to ensure that you are able to have the funeral service which meets your needs and enables you to remember and celebrate the life of your loved one in a special and meaningful way. 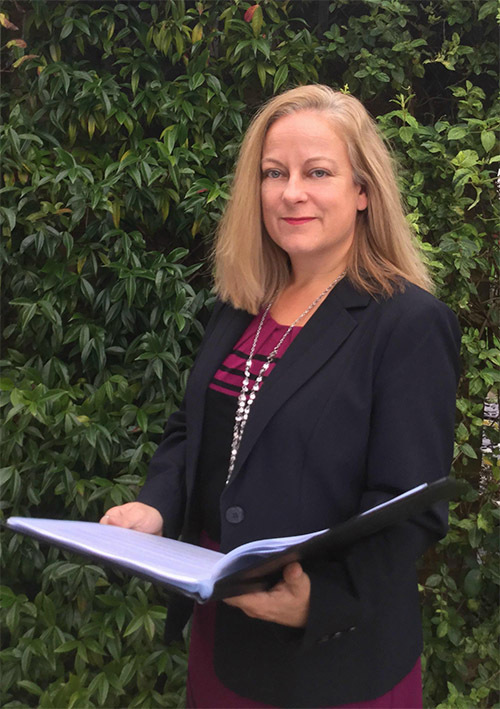 I am a member of The Fellowship of Professional Celebrants, which is affiliated to the National Association of Funeral Directors (NAFD) and the National Society of Allied and Independent Funeral Directors (SAIF). I am a supporter of The Natural Death Centre, a charity created to increase awareness of issues around death, dying and spirituality as well as promote improvements in funeral planning. I am also a member of Dying Matters, an organisation which aims to help people talk more openly about dying, death and bereavement, and to make plans for the end of life. Although primarily based in Kent, I am also able to cover funerals across Surrey and South London, on occasion. If you are outside of Kent, please contact me with your individual requirements and I will be more than happy to have a chat to see if I can help, or alternatively I may be able to recommend another experienced celebrant in your area.